Brilliant Colors and framed in the original wooden frame, this piece measures 25″ tall and 24 3/4″ wide. Great condition with no cracks or damage. 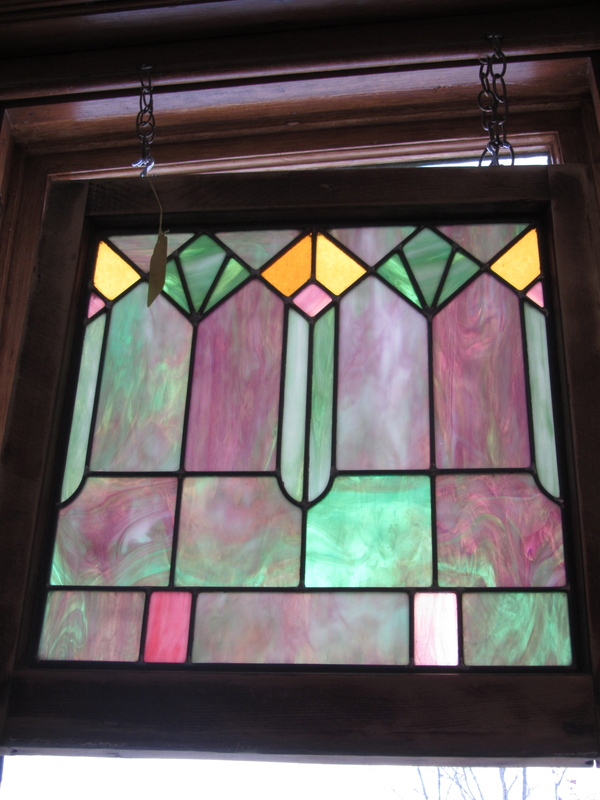 Purple and green with a few hints of orange make this a very colorful antique window.